“Gorjuss” is a truly beautiful and captivating brand from Santoro. The beauty of a Gorjuss product is that it speaks to your heart and you will experience something new again and again. Started in 1983 by Lucio and Meera, Santoro has gone from strength to strength recognised as an internationally acclaimed brand. The Santoro philosophy is to produce design led accessories and lifestyle products with the highest degree of innovation and quality. Whether you are looking for a gift or just something for yourself, the ‘Gorjuss’ Santoro dolls are a must have for any high quality doll stockist. The precious Gorjuss dolls are beautifully hand-crafted and brought to life by Aurora World’s expert team for children and parents to love, own and treasure. Making perfect and timeless gifts, there are currently 3 Gorjuss™ dolls to collect; Ruby, Toadstools and You Brought Me Love. Each has an abundance of life-like flowing hair and is uniquely dressed in beautifully made clothing reflecting the original artwork by Suzanne, complete with all the sumptuous fabrics, delightful buttons, ribbons, trims and attention to detail expected from a simply Gorjuss product. The dolls are accompanied by special animal companions and packaged in charming vintage-style trunk boxes with collectable Gorjuss™ cards and ribbon-tied information booklets. 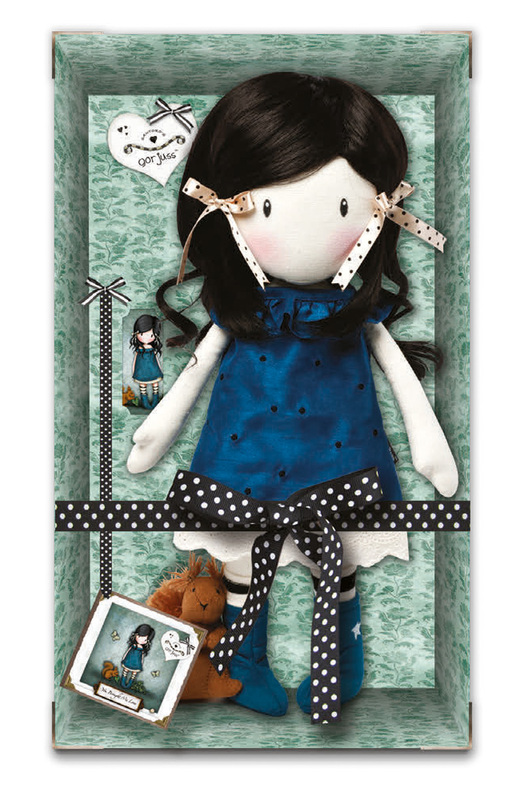 Ruby: This adorable hand-crafted ‘Ruby’ doll has been brought to life by Aurora World’s expert team. With her life-like flowing brunette hair, beautifully stitched clothes and sweet stripy socks, you are sure to find her truly captivating. Toadstools: ‘Toadstools’ is a beautifully made doll dressed in a sweet, stripy hat and a rich-coloured winter coat with button and pocket detailing. A timeless and engaging character, this delightful doll and her accompanying hedgehog companion will evoke real love and affection. MAM Breast Pump Wins Award!